Interiors for care homes can vary in style, furniture, design and more. Here at Renray, we understand the stress that comes with making these hard decisions, therefore we like to make it as easy as possible. We offer complete interiors for care homes packages. Starting off from design all the way to installation. Each project will have their very own account manager who will take you through the whole process. As turnkey specialists, we can ensure that you will be receiving the highest quality products and services to complete your care home interior. We are a one-stop shop when it comes to interiors for care homes, our product range includes chairs, tables, a full range of bedroom furniture, beds, mattresses, curtains and even carpets! All our products have been specially designed and tested to suit the environment. 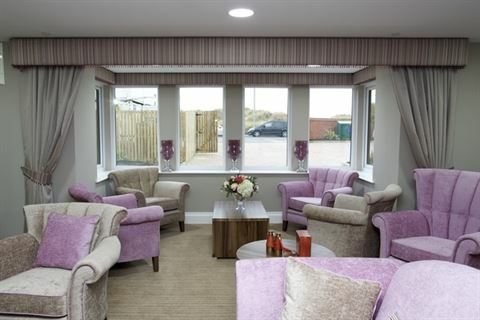 With so many fabrics and finishes available, we have the perfect care home interior for you. We not only have extensive experience in changing new, empty care homes into incredibly beautiful living spaces but also taking existing care home interiors and bringing them into the modern age. Not sure if you can see the finished product in your mind? Not to worry, our in-house Autocad design service is there to help you visualise your project and optimise the available space as much as possible. You can see our in-depth case studies for our interior for care homes clients here. For more information on how we can help you transform your care home call 01606 593 456, email info@renrayhealthcare.com or use the contact form on the contact us page and one of the team will be happy to help you further.